Last year the TIP-TOPOL company celebrated its 30th anniversary. Today, we have an interview with Piotr Borucki, President of the Board of TIP-TOPOL Ltd. (https://tiptopol.pl/en). TIP-TOPOL is the largest producer of air springs for pneumatic suspension of trucks and buses in Poland. They are also a producer of equipment for tire and treadmill services. Last year the TIP-TOPOL company celebrated its 30th anniversary. In Poland it was a time for important and bold changes. How would you compare this period? The realities of the initial period of our activities, then the cusp of centuries or – later – Poland’s accession to EU – they all differ a lot from one another. Our start was similar to many other native companies. Thanks to hard work and persistent pursuit of appointed aims the first successes came and with them the possibility of sales to foreign markets. It wasn’t easy, let’s not forget that in the beginning of the 90ths there was still no generally accessible internet network, there was no such huge and easy way to gain and exchange information. Our only window to the world was the International Fair in Poznan. From the very beginning our main asset was the production of bellows meant for Ikarus buses. In that time, they were mass-produced in countries that had once belonged to the Comecon (RWPG). As a tidbit I may add that we haven’t stopped their production will now. Paradoxically, the success we achieved, started becoming more and more of a problem to us – or maybe more boldly: a challenge. Further development was being blocked by limitations of manufacturing area size. We opened the new facility, built with the idea in mind of widening our production range of spare parts for trucks and semi-trailers, by the time Poland entered the EU. Right afterwards we decided to show ourselves at the Automechanika branch fair in Frankfurt/Main. Which has opened for us new trade areas, but we also had to face global brands then. So, if I were to compare the first years of TIP-TOPOL activities with the current situation, I would point to a matching of the wild trading from campbeds at the beginning of economic changes in Poland to our to-days malls. Let’s stay at our market for a moment. How do distributors and workshops perceive products “Made in Poland”? Of course, at the beginning there was this rush for everything that was coming from abroad and had a renown logo on the packaging. Today it is different, many distributors are convinced by Polish brands. There’s just one principle: I’ll take a risk and take them for sales and if there’s no complaints, we will continue and widen the cooperation. But to get this certainty, we had to go for big investments, therein in R&D. Still, some distributors still fear from introducing a Polish brand into their assortment. Because here, while choosing, it’s the customer to have the say. Some sort of a solution for the manufacturer could be a cooperative with the distributor, who will sell the products under their own brand. Such a solution has been introduced years ago in France, Spain, Holland, Germany or Italy. Now those ready-to-use patterns are transferred to Central and Eastern Europe. Interesting is that customers are convinced that by choosing a foreign brand they get a foreign product. Above all, they’re workshops and end customers. Every company aims at broadening their trade area. You haven’t limited yourselves to successes in Eastern Europe markets. After the said debut at Automechanika, already at the next edition in 2008, we have presented a brand-new brand of products – NEOTEC. However, to be able to compete fully in the Western Europe, we had to start investments in no time. The said opening of a new factory and R&D activities made it a lot easier for us. Our offer had to match the quality of parts used for first mounting, the so-called OEM market. Today, TIP-TOPOL exports their products to 58 countries on all continents. On average every day a container full of parts leaves us. Partially it’s a merit of distributors themselves, who are active internationally. It was also possible thanks to establishing of long-year business relations. It would be difficult to deal without in some moments. Which shows clearly the value of mutual honesty, loyalty and trust. What problems do you face today? In today’s world, the functioning of not only Polish companies is strongly influenced by quick business environment changes. For companies active on the global market beyond any doubt the most important aspect is the variation of currency prices. Which concerns both the Polish Zloty, as local currencies in countries, where our main competitors produce. For the automotive brand – extremely in Europe – the most important countries of suppliers are China and Turkey. If a local currency weakens, like it was with the Turkish Lira, in a short time the whole market situation gets negatively influenced. Fierce competition brings Polish companies to price lowering, and thus the margins they get. For the longer part, it may result in slowing down the investments, the next step being lowering the competitiveness. And you may not forget the limited human resources and pression from employees’ side, demanding rises. Summing up – our current challenge it to balance the relation between margins lowering and salaries rising. So – what support do Polish companies need today in building their position? The said economical changes at the cusp of the 80ths and 90ths have virtually crashed the then functional monolith within the automotive branch. Long years it has been formed by tens of state companies, centrally steered, strongly dependent on one another, and first of all having no problem with sales. Left suddenly alone, they weren’t able to make it in the new for all of us market situation. Some haven’t survived, others started fiercely competition with one another. In the meantime, new companies started their activities, like TIP-TOPOL. In this situation everyone treated every other one as an enemy. Today we can say we’ve grown out of it. Taught on costly mistakes we now know, that much more gains there are in cooperation and mutual support in activities. Together we have bigger clout and development possibilities. The effect of such thinking was the creation of the Polish Automotive Group PGM – an association of Polish private automotive suppliers. Of course, that’s no big deal with this idea, such activity model had big successes in higher developed countries. The main aim of PGM is to actively represent the entities gathered upon the home market. Collected experience and HR potential from one year to another bring more effects also in activities outside Poland. A good example is the government support program „Go to brand”, the first edition of which ends this year. Thanks to it many Polish companies had the opportunity to present themselves on the international market. Of course, contacts made during such meetings do not translate to cooperation immediately, but they will yield in the long run. Which is why the program will be continued in the next three years. We conduct common marketing activities and engage in international projects. Entering the Polish Automotive Group helps also small, still unknown entities to lend credence to their activities against foreign contractors. What are the recent international successes of you – or of the whole automotive branch? Products of the automotive branch are today more than 10% of Polish exports. That’s a fact, so I can say boldly that it’s one of the most important branches of Polish economy. Thanks to it companies of home capital become great ambassadors of Poland. Not only in Europe, but equally successful in Asia, Africa or both Americas. Within TIP-TOPOL activity we invariably place importance on suiting the offer to a given market specifics. Currently we’re finishing the process of implementation of new references to unknown in Europe truck for a recipient in Japan. 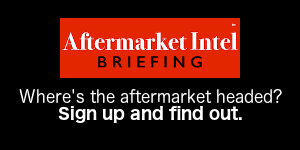 For the latest news and information on the global automotive aftermarket industry, visit https://aftermarketintel.com. AftermarketIntel.com covers the global automotive aftermarket, technology and auto parts industry. Mark Phillips, Editor. For news tips, show coverage requests or to request a media kit, see email below.